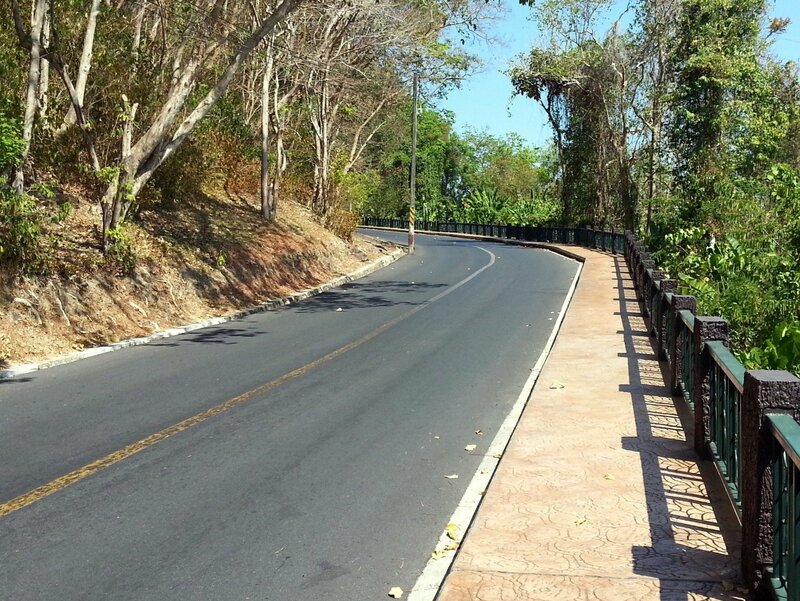 I cannot find fault with the The Lapa Hotel in Hua Hin – it is a great place stay and only 11 minutes drive into the town centre. 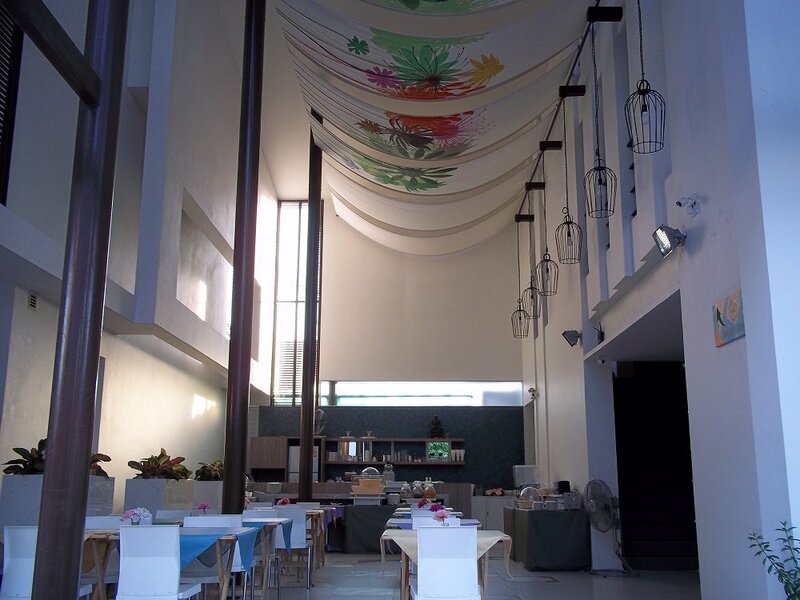 The Lapa Hotel is a stylish small resort. 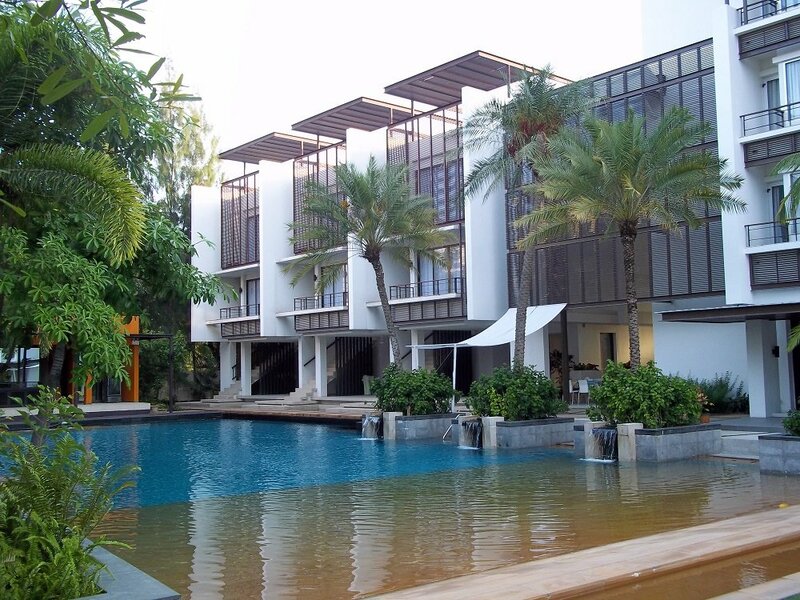 The main feature is the two swimming pools around which are the guest rooms. 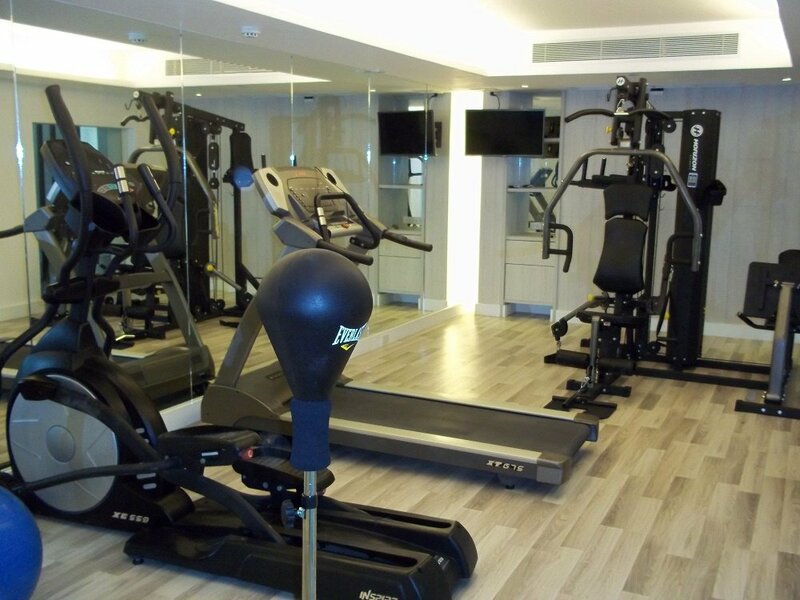 The hotel also has a breakfast room, two restaurants, a poolside bar and a gym. This hotel has a strong design theme which is carried on to the room design. We stayed in a ‘Lapa Cocoon’ which was large and well furnished with a mini balcony for smokers. The room came with free WiFi and a great range of English language channels such as HBO Signature, upon which we were able to watch the latest episode of Game of Thrones. 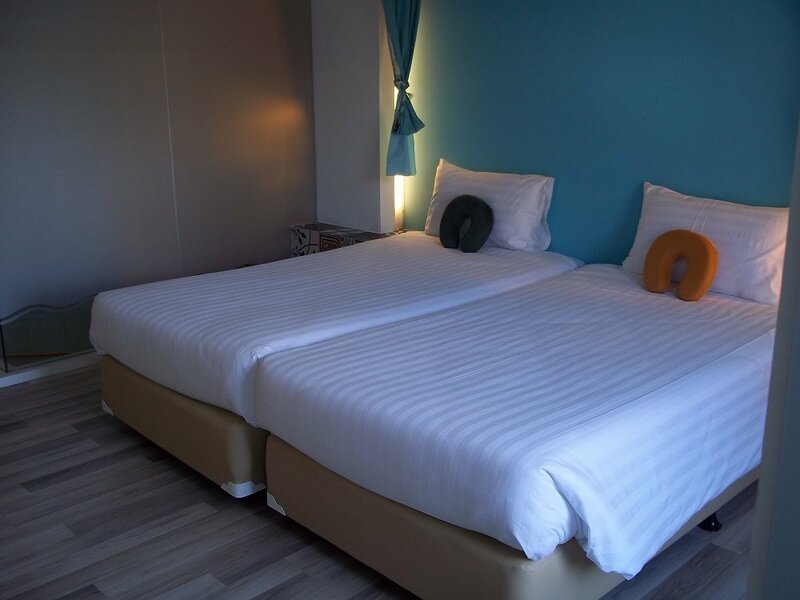 The hotel offers a buffet breakfast in very large and airy room to the side of the swimming pool. 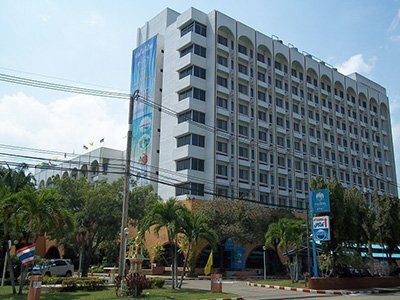 This is a very comfortable hotel and it represented good value for money – Hua Hin hotels are not cheap. The service was very friendly. In the morning the hotel gave us a free lift to the Lomprayah bus office. 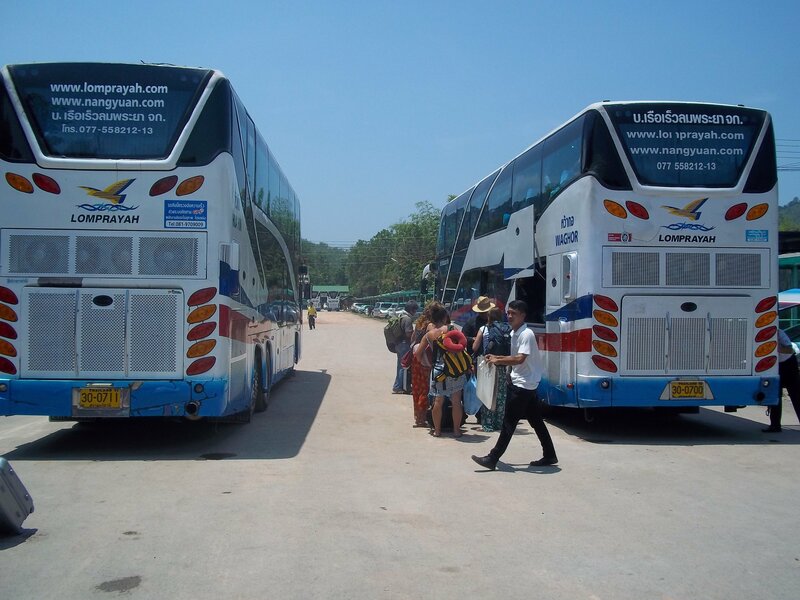 It was not very busy when we visited with the only other guests being Thai tourists. I would stay again.